From 1964 through 1974, the GTO was the king of the road in Pontiac’s fleet. The GTO was a perfect muscle car of the era because it paired a big, powerful engine with an affordable car. In almost every configuration, these cars left the assembly line with more than 300 HP. Sadly, consumer interest in muscle cars dropped sharply during the energy crisis of the 1970s and the GTO was discontinued in 1974 – a sad fate for a car which had won Motor Trend’s coveted Car of the Year award in 1968. 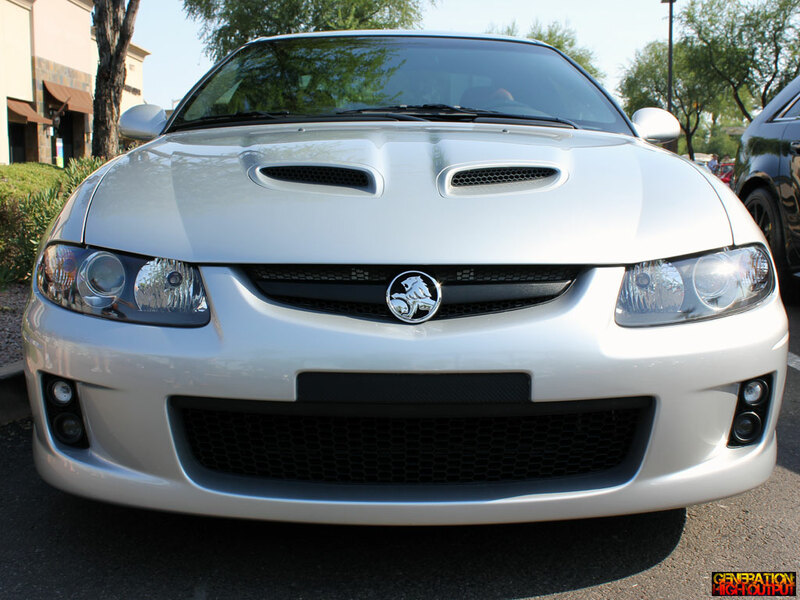 Then in 2004, General Motors once again revived the GTO nameplate in the United States by bringing over a car from GM’s Australian division, Holden. Once again, it seemed the car was too good to be true. With a tire-melting 350HP LS1 or 400HP LS2 engine under the hood, the Pontiac once again had a badass muscle car on the streets of America. However, a common complaint about the “new GTO” was that its exterior styling was pretty bland. 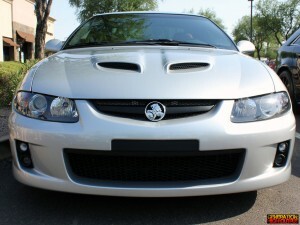 On the Australian model, the Holden Monaro featured much more attractive front and rear bumpers. 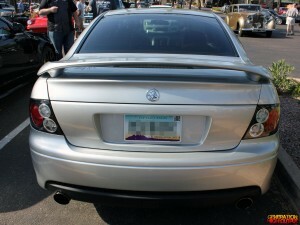 You can imagine my surprise when I ran across a Pontiac GTO at a car show in Arizona featuring the Holden body kit! The fit and finish looks too good to be a fiberglass reproduction – I am guessing the body kit was imported from Australia. I hope you enjoy these shots of this Pontiac/Holden hybrid – they are the only ones you are likely to see without taking a trip to the Land Down Under! This is one very well-done car, from its high-performance heritage to its unique look. My hat goes off to the driver of this goat! 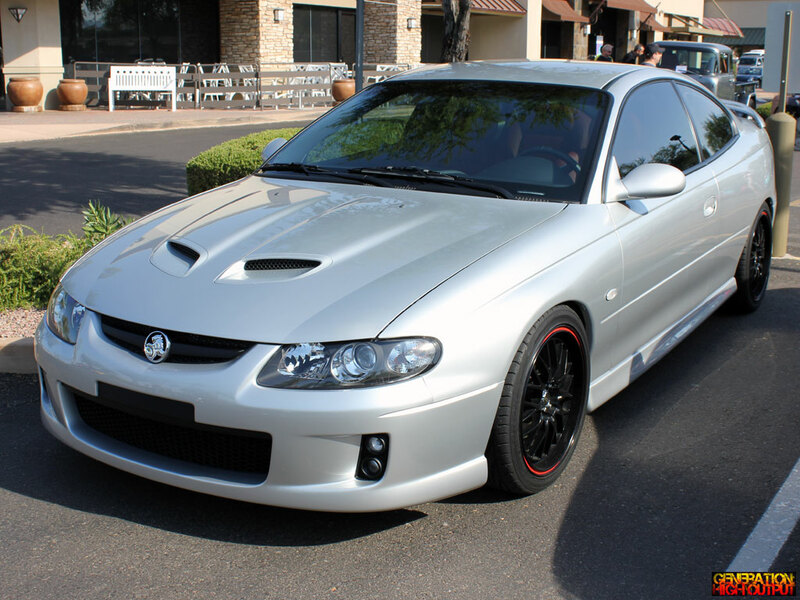 This entry was posted in Cars and Coffee and tagged Body Kit, cars and coffee, holden monaro, muscle car, pontiac GTO by Trevor Freeman. Bookmark the permalink.